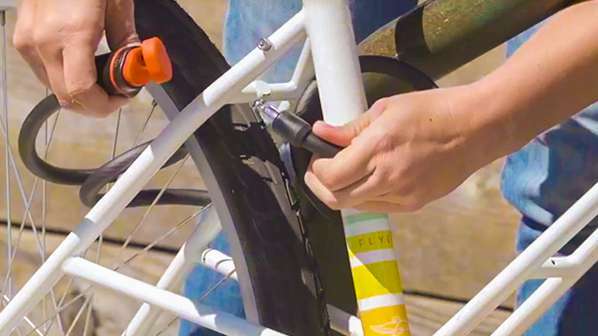 A sturdy lock and savvy locking strategy will significantly reduce the risk of your bike being singled out by thieves. Here are a few tips and tricks to help properly lock your bike. We’ll help you determine the level of security to meet your needs. Here are a few tips and tricks to help properly lock your bike. The Watchdog Series provides light to medium-security with a keyless cable lock. Bell Catalyst Series U-locks offer high security. Ballistic Series locks provide light to medium-security with a key cable lock.